BSB: £50,000 for King of Brands, would you take the gamble? MCE British Superbikes announced yesterday they were to add a ‘unique twist’ to their now traditional King of Brands ahead of this weekend’s round in Kent. Riders will now be in with a chance of winning a massive £50,000 prize as well as being crowned the now coveted ‘King of Brands’. Explained clearly by MCE BSB: “At the start of race two, as the riders form up on the grid, the top three starters will be given the choice to either take up their positions, or alternatively line up on the final row. Should they elect to sacrifice their front row slot, their challenge will be to charge from last to first and replicate Neil Hodgson’s famous achievement from Oulton Park during the 2000 season. 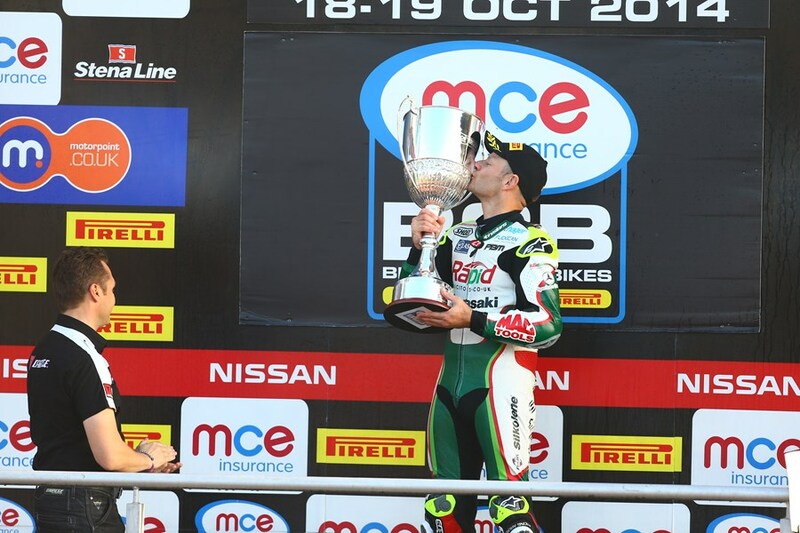 The highest placed ‘MCE BSB – Monster Energy King of Brands’ contender will receive a specially commissioned trophy and should they win the race, they will receive a total £50,000 cash prize. Second position would be rewarded with £25,000, and third place with £10,000. Only the leading rider will be eligible to win a top-three bonus, but any rider that accepts the challenge will receive £5,000, regardless of success. This exciting and unique news has created a stir amongst many, including the riders themselves. BMW’s Tommy Bridewell tried to get other riders involved in his opinion on the one-off prize: “I think at least the top 10 in BSB should fix the result in R2! 75k 10 ways 7500 each! I’m in who else is?”. Aussie ace, Jason O’Halloran provided a thorough and detailed analytic response to the news, simply replying to the official media release with a thumbs up emoji. Having a read of BSB fan responses, there’s been a range of opinions largely ranging from “great idea!… finally, prize money!” to, “it’s a cheap gimmick”, to “BSB gets rad” (Mat Oxley). However, regardless of what the ‘majority’ think with regard to the decision – it’s got a lot of the British motorcycle racing community talking about the series in the lead up to the event, and we’ve seen no responses from fans declaring that they WON’T be watching or attending the ‘Big Brands Bash’ because of the decision. The event has a resemblance to that of the Monster Energy Cup Supercross event in the USA which takes place every winter. An ‘overall win’ over 3-main events earns a rider $100,000 prize money, or if they win all 3 races, $1,000,000 prize money. While, obviously, it is not the same, it’s more like a British Superbikes Monster Energy Cup. The American event always receives a heap of media attention, is a spectacle to behold each year in Las Vegas and always goes down well with the fans and media due to all the different factors at play. Brands Hatch is quickly becoming the Sam Boyd Stadium of the road racing world. Let’s not forget how popular Supercross is among younger generations in the USA, meanwhile the road racing motorcycle fan demographic is typically similar to that of Snooker or Darts – i.e. middle aged blokes. If the sport is to progress further, leading to decent amounts of prize money permanently filtering down the national grid(s), it needs to capture the hearts and minds of the younger generations too. Out of the box ideas such as this have the potential to do just that. Will anyone dive in the deep end and take the gamble? Who decides what happens and when? While some will suggest it’s the teams, race organisers, “riders’ wives” (according to Petra Byrne), ultimately, as Martin Jessopp quite rightly said, it will all be down to the riders on the sighting lap. What would you do? Tell us on Twitter @PaddockChatter or leave a comment below.